What motivates Islamic terrorists? What is in the mind of terror? Our news reports from the Middle East cover events?bombings, massacres, and suicide attacks. Our newscasters take time to explain who the players are?from Hezbollah to the Iranian Quds, from ISIS to the Palestinian National Authority. But there is something underneath these events and players that fuels atrocity after atrocity in the Middle East. What is it? 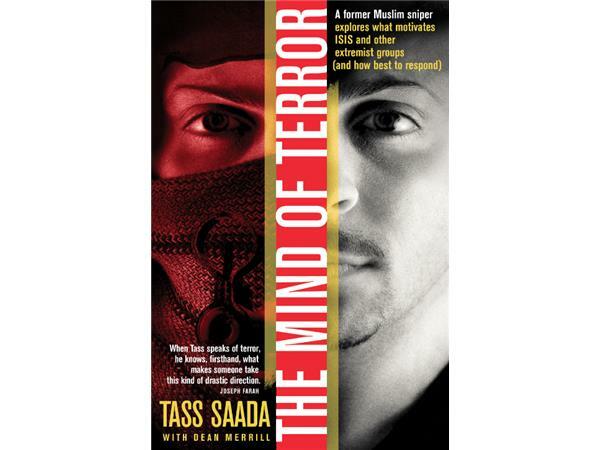 Tass Saada provides the answer to that question as he delves into the mind of terror, explaining what motivates extremist groups throughout the Middle East. A former Muslim and a onetime sniper with Yasser Arafat’s Fatah organization, Tass has lived it himself. At age 42, he steered his life in a radical new direction, committing it to Jesus. Tass not only describes the motivations and aspirations of those who live in the Middle East, he also outlines a peaceful solution. We can plant seeds of hope that will transform not only the Middle East, but also our increasingly diverse neighborhoods at home. Discover the mind behind terror and how to oppose its grip.